One of the options when it comes time to replace the hydraulic drive motors on your equipment is remanufactured. We've talked about reman hydraulic motors in previous blog posts, and you can find descriptions of our special 10-step reman process on our webpage. However, how much do you know about the benefits of purchasing reman final drive motors? 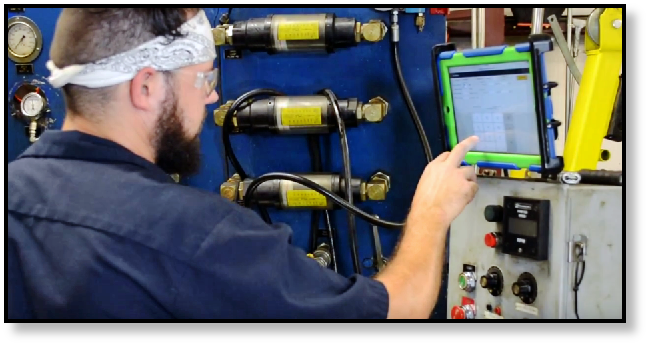 As part of our reman process, every part in your final drive will be examined to determine if it should be replaced. The parts we use for replacements are not cheap, low quality deals that we found but good quality parts from suppliers that have proven themselves trustworthy. Parts that aren't replaced are carefully restored to original manufacturer specifications by a variety of processes. 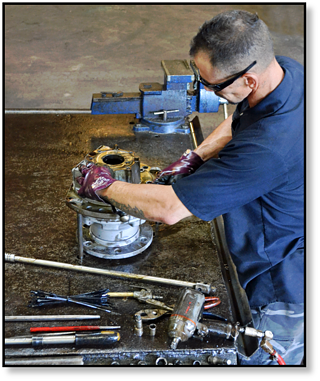 Our 10-step remanufacturing process, when combined with quality parts, skilled technicians, and a rigorous, detailed oriented approach to restoring final drives and hydraulic motors, means that our reman final drive motors not only match the quality of the OEM motor but typically exceed it. That's right -- our reman drive motors and reman track motors usuallly exceed the original OEM quality. Each and every final drive we remanufacture also goes through a rigorous, multi-step testing process. When we say reman final drives are cheaper than purchasing new ones, we are very serious. On average, our reman motors are about half the cost of a new motor. Considering how much those new final drive motors can run, that is a significant cost savings. There is another aspect to the cost savings, however, and it ties in with the quality level of our motors. Since the reman motors meet or exceed original OEM specifications, that means that you will see a savings in future repair costs, also. As more and more companies, both small and large, are looking for new approaches to supporting the environment, remanufacturing has emerged as a green alternative to purchasing new hydraulic motors. It takes far less power and energy to reman an existing final drive motor than it does to manufacture a new one. Comparing a new final drive to a reman final drive in terms of environmental impact, the re-manufacturing process leaves a much, much smaller environmental footprint behind. Another interesting aspect of reman as a green alternative lies in the price: usually, environmentally responsible approachs are more expensive, but remanufacturing is also the cheaper option. At Texas Final Drive, we are so confident in the quality of our reman drive motors that we back them with a one-year warranty. This warranty covers both parts & service and is hassle-free. You can be sure that our customer service doesn’t end with the sale, and we will work with you if you should need to use the warranty. When it comes time to replace your final drive on equipment, don't forget to consider the purchase of a reman hydraulic motor. Not only will you be purchasing a high-quality hydrualic motor that costs less in terms of initial cost and repairs, but it comes with a one-year hassle-free warranty. And its also a greener option, too.